My wife and I attachment parented our children, who have become compassionate, self-assured, and progressive adults. 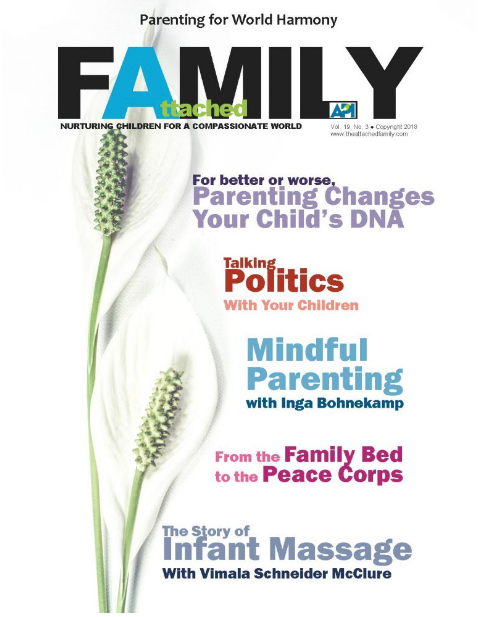 Attached Family Magazine is published to support parents who engage in attachment parenting. Click here or below for the entire edition including my articles.